I believe God has blessed me with the “it” factor. I fear no one and play bigger than the next man. 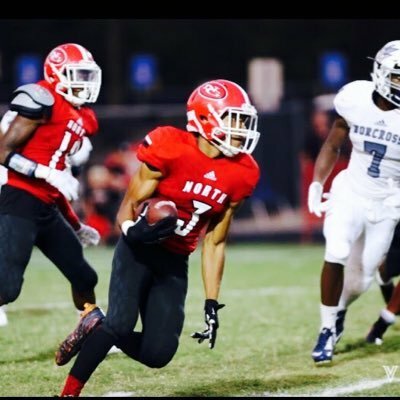 Cunningham is part of the young impressive group of North Gwinnett skill players who all show college upside. The 2019 athlete runs with a slashing mindset and does a great job of reading the defender and making a timely cut. He is a quick accelerator who can hit his top speed in just his first few steps. Cunningham shows a special ability as a return man that should make him even more appealing to colleges. We think the 2019 recruit is a no-doubt FBS caliber athlete and should be a dynamic player next year in the state of Georgia. Cunningham was an All-State returner on our site for the 2017 season. He has continued to make progress as a receiver showing good sideline awareness, and making tough catches away from his body.